Helvetic Airways stands for comfortable and safe flights to exclusive destinations. For guests, this means the highest level of comfort with a significant time saving and elimination of the stress of transferring flights. Non-stop flights to exclusive destinations. Fast and simple booking processes as well as smooth and quick check-in without any queuing. Enjoyment and varied services offered on board. In addition to public transport, TIXI Zürich also provides a transport service for people with restricted mobility. 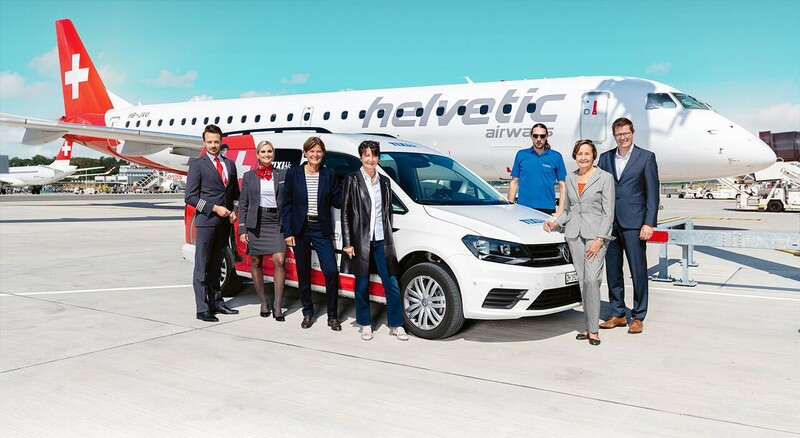 In 2011, Helvetic Airways and TIXI Zürich entered into a long-term partnership. Today, several vehicles of the TIXI fleet bearing the typical Swiss cross and silver-grey logo of Helvetic Airwayscan be seen driving along the roads of the Canton of Zurich. Thanks to the TIXI transport service, people with restricted mobility can leave their home and reach their destination easily and directly. Making life easier.